A piece of my mind. : Who said romance was dead? The City of Philadelphia Mural Arts Program and Philadelphia native, New York-based artist Stephen Powers have collaborated to create Love Letter, a public art project consisting of a series of 50 rooftop murals from 45th to 63rd streets along the Market Street corridor. 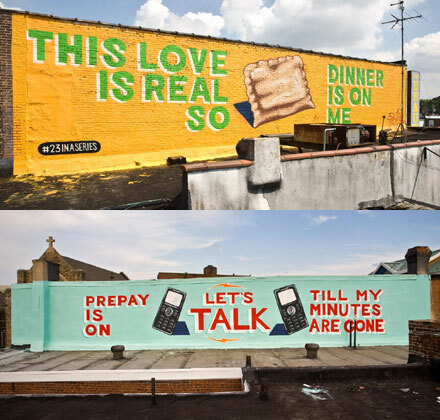 The murals, which are best viewed (and designed with this location in mind) from the Market-Frankford elevated transit line, collectively express a love letter from a guy to a girl, from an artist to his hometown, and from local residents to their West Philadelphia neighborhood. Love Letter, which will be documented in two books, a film, and a gallery exhibition, speaks to all those who have loved and for those who long for a way to express that love to the world around them.